No, I'm not feeling good. You were the one who made that model port of Klonoa in Smash? I'm kind of surprised but then again, He is definently more popular than what I originally thought he was way back when I first found out about him. And besides: You practically fixed one of the most glaring issues I had with the game Post-DLC. I talked to you on Gamebanana a couple times and on the Sm4sh Modding discord group I think. Nice to see ya again man. Above is the previous version before updating, gave him more expression. 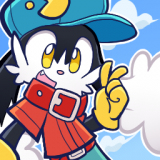 Update for my Klonoa mod in Smash! Man look at those Wahoos! 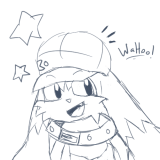 I'm really digging tat Klonoa smash model. It is much better than the Wii model! Great job.